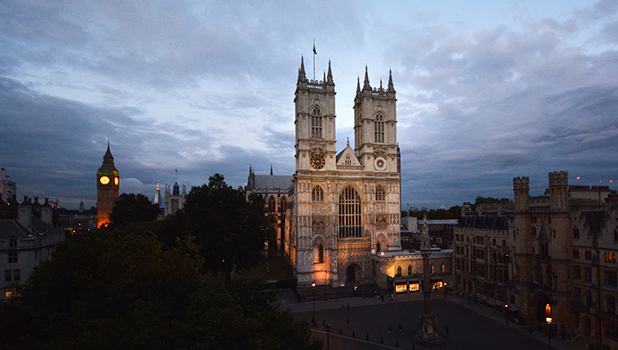 Explore over 1000 years of living history at Westminster Abbey. The Abbey has been the Coronation church since 1066 and is the resting place of over 3,000 Britons and 17 Monarchs. Many of the nation's most significant and important historical events have taken place in the Abbey and Poets, Scientists, Statesmen and Noblemen are all commemorated and celebrated here. Be amazed by the majestic Gothic architecture, take a stroll in cool contemplation in the Cloisters and experience Westminster Abbey - where history happens. Closed 23 - 25 December. Offer not valid 8 - 28 April and 15 July - 1 September. The Abbey closes for visiting one hour after the published entry closure time. On Sundays and religious holidays such as Easter and Christmas, the Abbey is open for worship only.